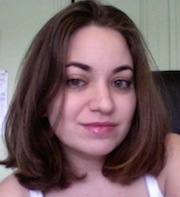 Amy, co-founder and editor of The Changeover, is a Philadelphian now living in Washington, DC. Her work has been featured in USA Today and on SI.com. She can be reached at amy@changeovertennis.com, or on Twitter. Check your Venmo, John Isner. The post Note to John Isner: Venmo is Public appeared first on The Changeover. Tennis players have dogs, and it's puppy day. The post On Puppy Day, Just A Bunch of Tennis Players with Their Dogs appeared first on The Changeover. Benoit Paire does some Benoit Paire things. The post GIFs: Benoit Paire Has Meltdown, Wins Set Anyway appeared first on The Changeover.